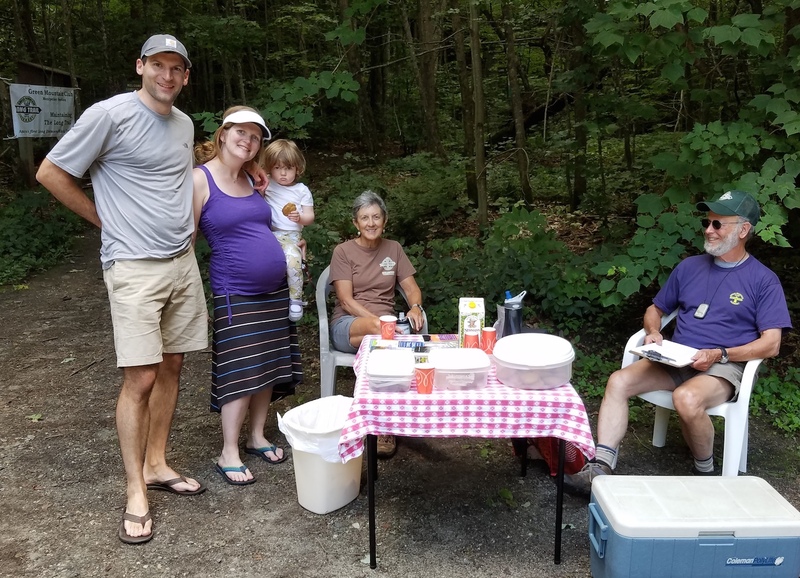 Trail Magic Day takes place once a year, when we give out free food and drink to hikers on the Long Trail. We set up at 9 am at the Bamforth Ridge parking lot. 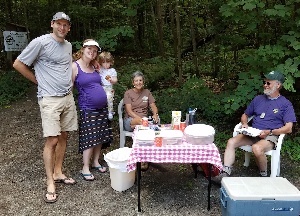 We had lots of food and drink, but not so many hikers! Thanks to Steve and Heather Bailey, Cindy Griffith and Ken Hertz, who took the three shifts for the day.